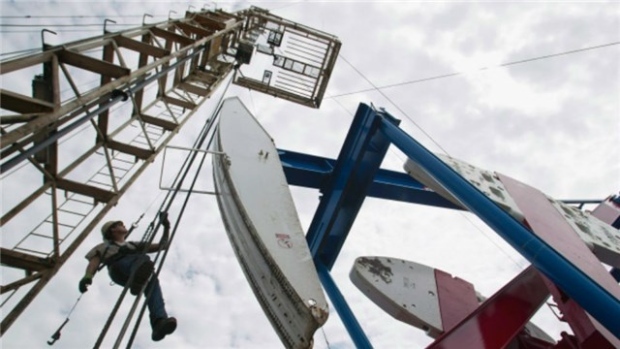 CALGARY -- Nearly one-third of the natural gas burned in Canada last year was used to produce oil from the oil sands, according to the National Energy Board. Natural gas is largely used in the oil sands to generate steam to inject into underground formations to thin the heavy, sticky bitumen crude and allow it to be pumped to surface. The growth in so-called "thermal" projects is the main driver behind increased oil sands demand for natural gas, the NEB says. Environmentalists were quick to describe the oil sands industry use as a waste of a cleaner-burning resource that would be better used to heat homes, generate electricity or create plastics. The NEB report points out that Alberta spot prices for natural gas plunged to a record low in May of last year as wildfire activity near Fort McMurray forced the shutdown of gas supply pipelines to northern Alberta oil sands projects.